Mr Prime Minister, I am a willing migrant in Delhi, materially leading a comfortable life. But, as we all know being in Delhi means accepting a capital punishment—not one ordered by the judiciary but by the total collapse of environmental governance. In this context, a kudos to you for promoting the virtue of staying fit and healthy! You throwing a #FitnessChallenge at many big personalities has motivated me to throw a few at you as well. 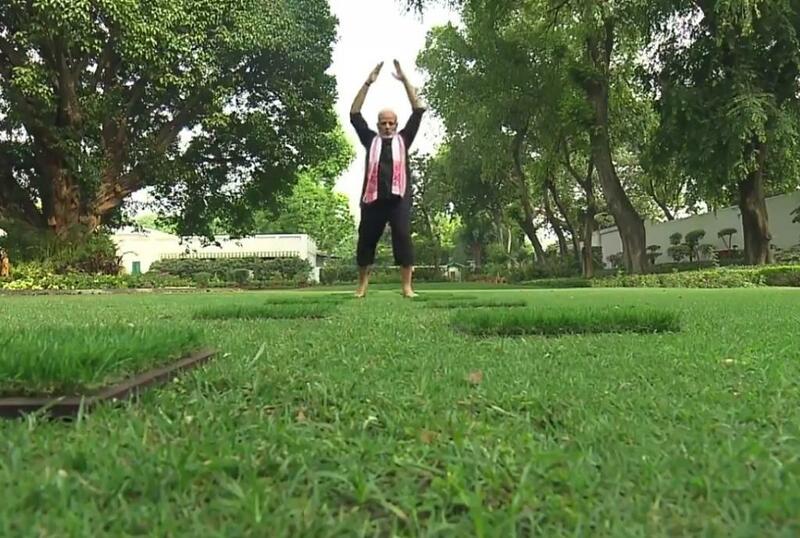 Because you, as the prime minister, can make my and millions others’ dream of staying fit in Delhi possible. For my unborn baby, the challenge began right inside the womb, since external pollutants were impacting my wife and in turn my child. There are a number of researches highlighting the impact of air pollution on newborns. For example, in 2017, a paper published in BMJ, a medical journal, linked air pollution with low birth weight of babies. As a parent, we are scared to know of these facts when around 3.75 lakh babies take birth in Delhi every year. You say ‘Stanpaan… vikalp nahin, sankalp hai’, but mother’s milk, which is supposed to be the safest food for babies, now has pesticides in it, says a report published in 2015. It found 0.12 gram of pesticides in mothers’ milk, which is 100 times higher than the standard. Since this data was from Sirsa district, Delhi would be way worse if checked. After my child is born, being fed safe food becomes the next big challenge since even the safest food is polluted. The Ministry of Agriculture has found that 12.5 per cent of food samples in market contained non-approved pesticides. The study should also have talked about the percentage of food that has approved or non-approved pesticides to tell us how much pesticide is going in our body. Moreover, there are reports saying that up to 70 per cent of milk available is adulterated. On one hand, GM food is not allowed to be produced in the country but import of soybean oil and processed food is available in the market. We don’t know how to differentiate. It’s scary because I am living in the capital of a country that is ranked second in the number of obese children and even the percentage of underweight children has increased in the last decade in Delhi, says the National Family Health Survey. In 2005-06, 26 per cent children were underweight and this increased to 27 per cent in the next NFHS in 2015-16. Similarly, percentage of wasted children (too thin for their height) also increased from 15.4 per cent to 17.1 per cent in the same period. Delhi’s air is not as clean as shown in the video where you are working out. When we go to doctors, they suggest us to not take our babies out. And this is not the story for one or two days. At least for four months in a year, our babies are locked in the house. Sometimes, the impact of inhaling Delhi’s air is as bad as smoking 44 cigarettes in a day. Recently, another study revealed that at least during 23 days between February and May, Delhi’s air was full of ozone. How can we be fit in such circumstances? For a parent, sending their child to a school in Delhi requires some courage for my child, along with other 22 lakh schoolchildren, will inhale air full of pollutants. More than 3 lakh school going children or 7.3 per cent have severe lung function deficit and 40 per cent have reduced lung function, highlighted a research published in 2015 and this number is three times more than any other part of the country. If children are facing a tough life in Delhi, so are the parents in trying to make their kids safe. We ran from one medical store to another looking for a mask since 53 per cent of the tested population of south Delhi (from one locality) had prevalence of pulmonary functioning impairment, highlighted a study. This is when vector-borne diseases are already making our lives hell. You must be aware of the fact that just couple of years back in 2016, Delhi had witnessed its worst chikungunya outbreak in the last 10 years that affected more than 12,000 people and in 2017, around 10,000 caught dengue. We are living in constant fear of dying a difficult death since Delhi witnessed a 66 per cent increase in deaths due to respiratory diseases between 2014 and 2016. The Capital recorded a worrying 9,149 respiratory deaths in 2016, up from 5,516 in 2014, the year since when air quality has been constantly deteriorating. Mr Prime Minister, I wish could have access to the greenery and cleanliness shown in your video where my family and I can go and spend some time to improve our health. But unfortunately, we don’t.